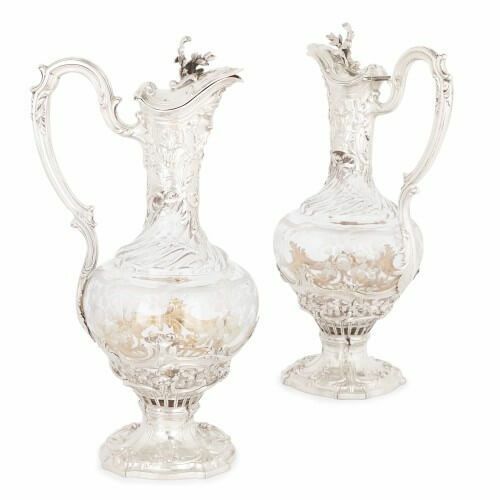 These detailed claret jugs are fine works by the prestigious French silversmith Emile Puiforcat, and would make a refined addition to a luxury dining table. 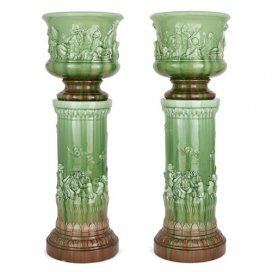 The pair of 19th Century lidded claret jugs are inticately crafted, and reflect both the skill and the timeless design aesthetic of their maker, Emile Puiforcat (French, 1857-1927). 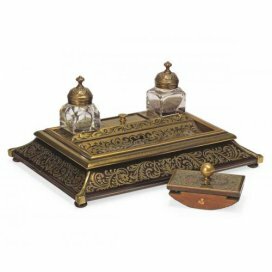 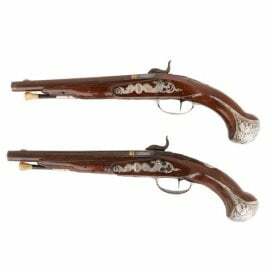 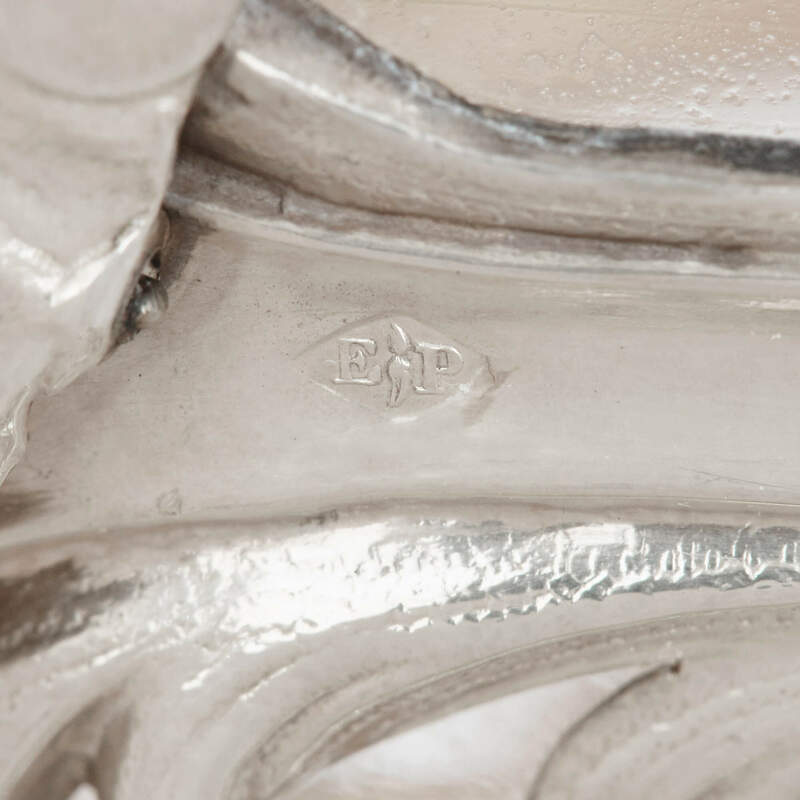 Emile Puiforcat founded his silversmithing firm in the mid-19th Century, and initially concentrated on making cutlery before branching out into more elaborate pieces. 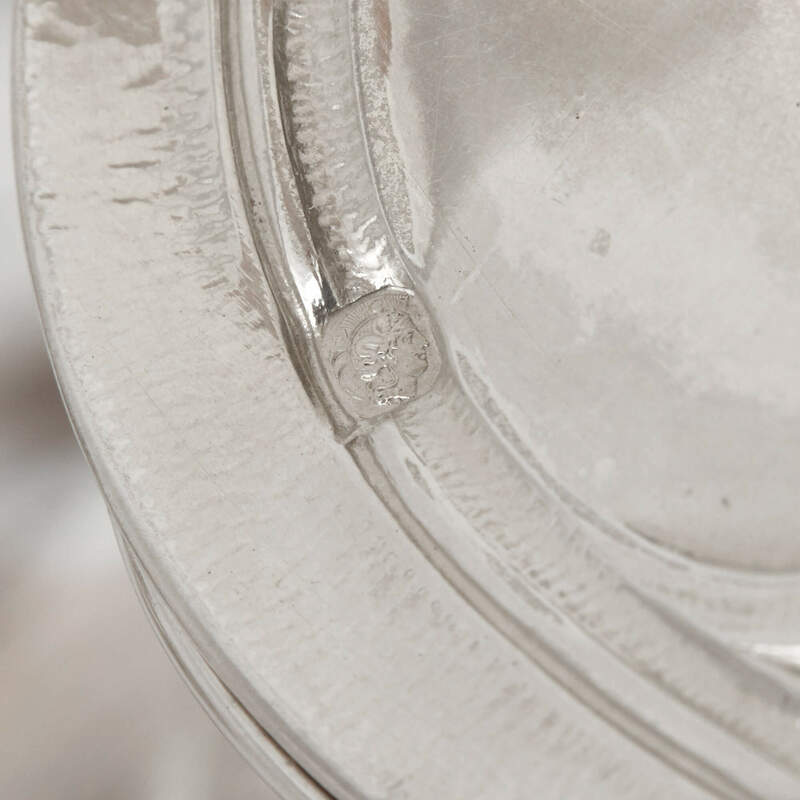 Although the Puiforcat firm today is best known for the work of Emile's son, Jean Puiforcat (1897-1945), one of the most important silversmiths working in the Art Deco period, Emile's silverware is also highly regarded and sought-after. 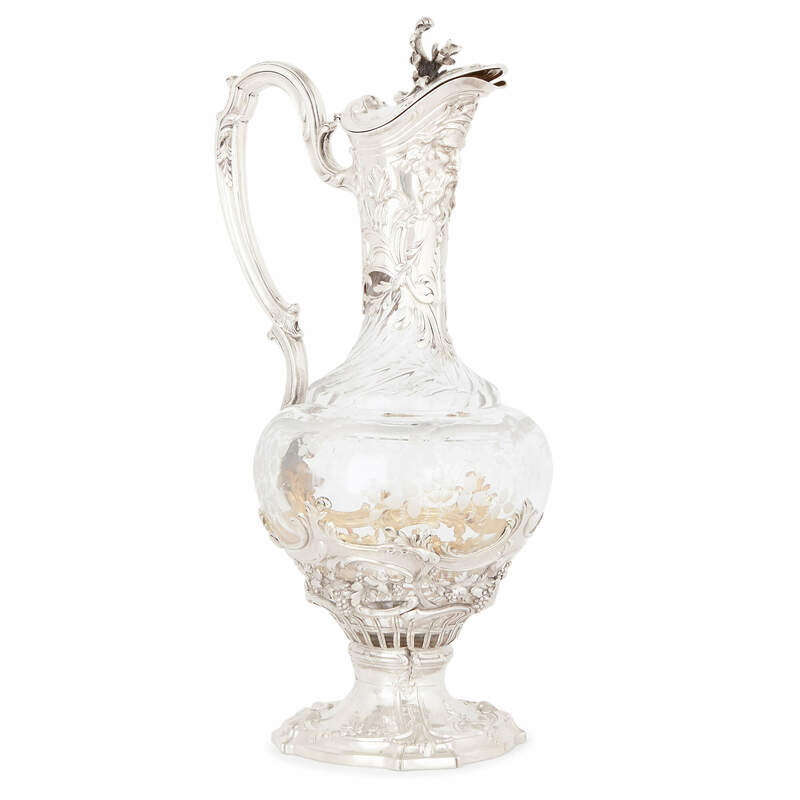 These jugs feature highly intricate detailing, particularly on the silver mounts around the necks and bases, which are adorned with floral and foliate motifs. 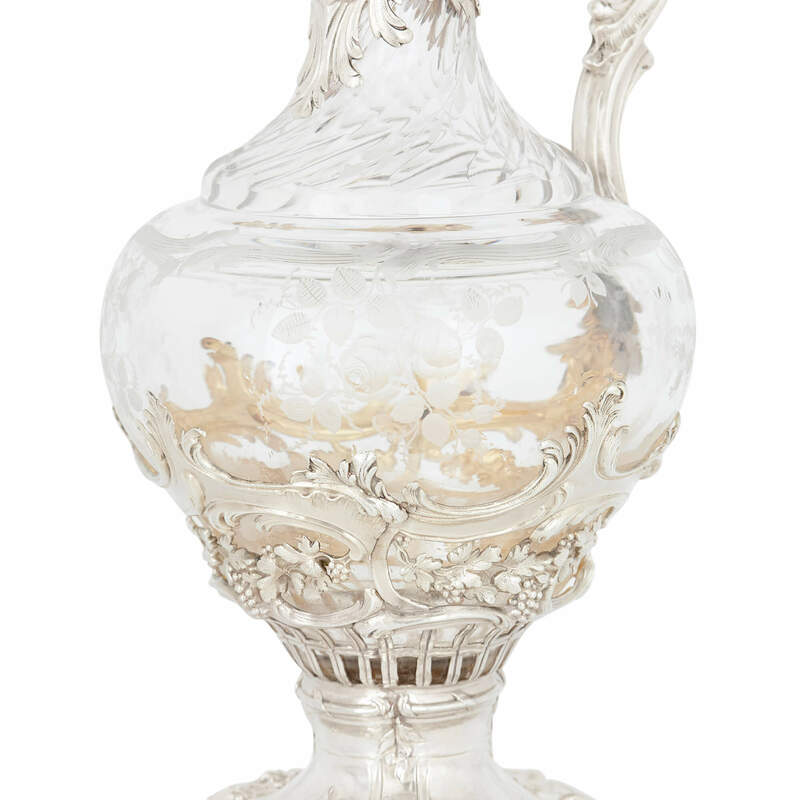 The glass bodies of the jugs are also beautifully decorated with acid-etched foliate depictions, and twisted fluting around the lower parts of the necks. 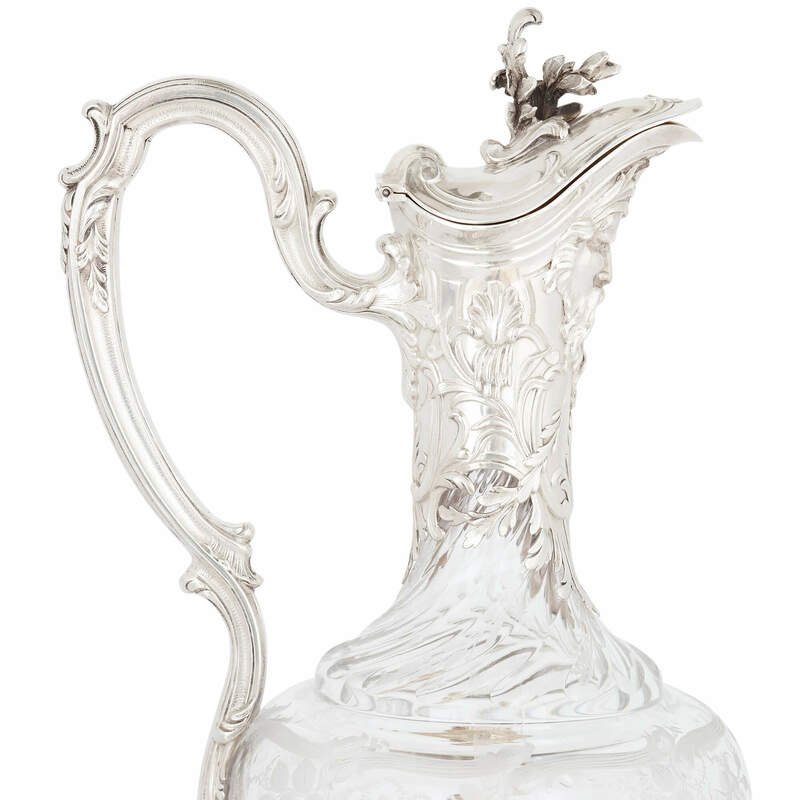 The jugs have scrolling silver handles and hinged lids; and each bears silver hallmarks as well as a maker's mark for Emile Puiforcat.